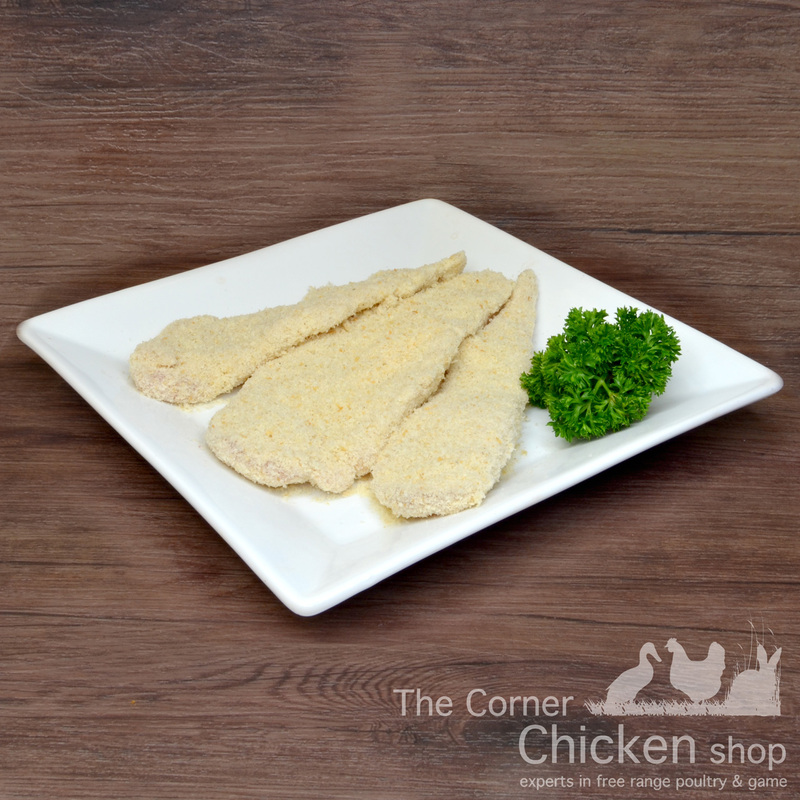 Mini Breast Schnitzels – Made from the tenderloin, which is the chicken eye fillet, these strips are perfect for lunches or a snack after work or school. 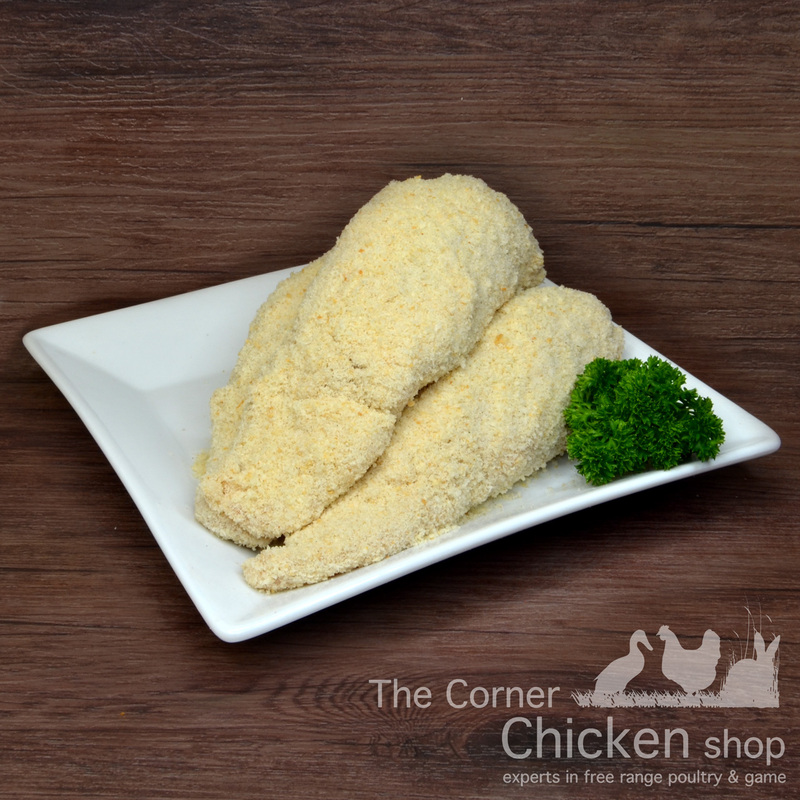 Chicken Kiev – Made on premises with only fresh pure butter, crushed garlic and herbs. We only use skinless free range breasts and the butter is pumped into the inside of the breast. To keep all the butter inside, seal your crumbed kiev in a pan first then bake for 20 minutes in the oven. 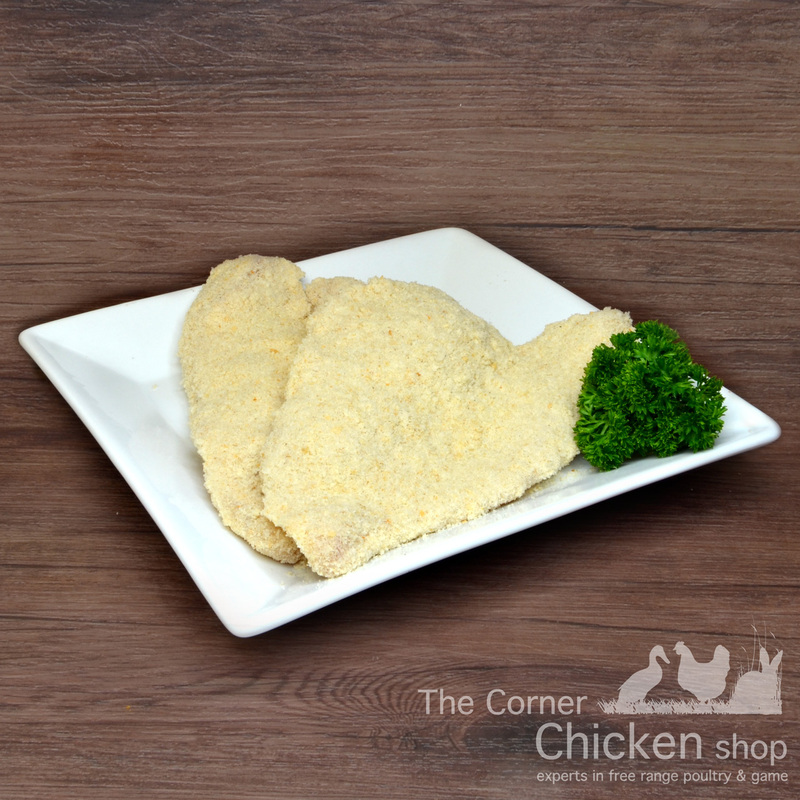 Chicken schnitzels – These are made on our premises 100% by hand using only skinless free range breast fillets that are opened and crumbed with our own blended breadcrumbs. Perfect for chicken parmigana or just a quick meal with some salad. Chicken Thigh Schnitzels – lean skinless thighs flattened and crumbed to perfection. Tasty, juicy and quick to cook in the pan.